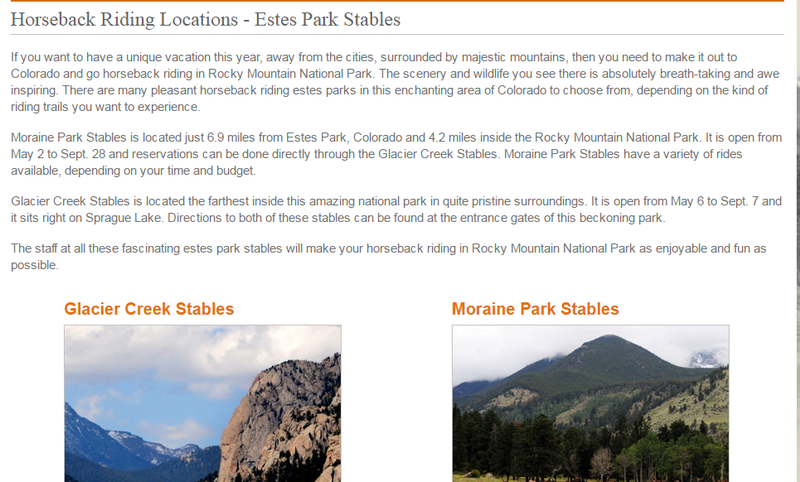 Hi Country Stables runs the only two horse riding stables that are located inside the Rocky Mountain National Park. The stables are open for summer rides only and they have provided facilities and equipment needed to meet all your special needs. The staff are well trained and dedicated to making your ride as safe, fun, and enjoyable as possible. Rides of varying lengths of time and destinations are offered on an advanced booking basis. Stables in the area have a herd of over 1800 horses to serve you with. 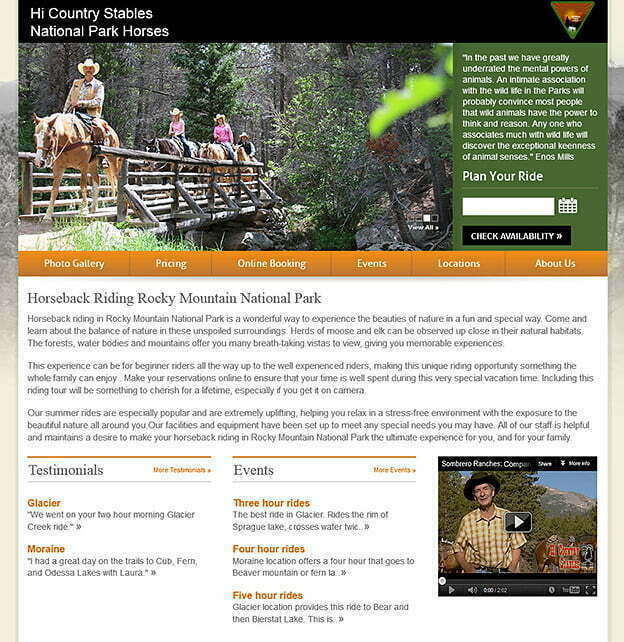 Hi Country Stables (www.ridermnp.com) has experienced a boost in sales since this site went online. The online booking procedures have been simplified and made easy to use for advance bookings. 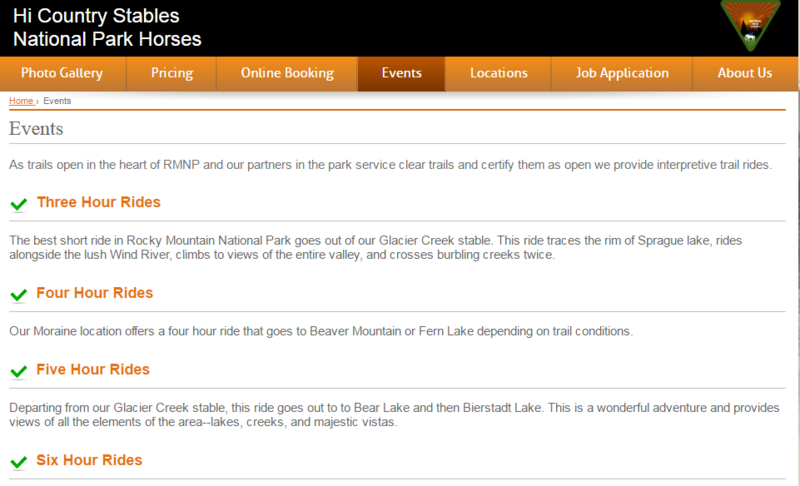 The maps and directions included on the site make it very easy for their clients to find the stables without any problems. The site is very eye-catching for clients, as the nature photos from some rides are displayed well, attracting more people interested in seeing this beautiful nature zone up-close. The site had to be able to present information in a grid layout and have a lot of photos and graphics to catch people’s attention. The effective use of multi-media was also desirable, photos, videos, testimonials, audios, etc. The site had to maintain accessibility across many platforms, to accommodate enquiries from many people in many locations. An easily accessible Notice/Events Board was needed to keep people abreast of different happenings at the stables. And, of course, easy to use online booking had to be incorporated for the convenience of the clients. Pulse met the needs of their client by using several web technologies together. ASP.net was the basic building block used for this site. It worked seamlessly with CSS3 and MSSQL Server for a robust delivery of the client’s services. Media Query helped give the site the accessibility needed across the different communication platforms in use today. A dynamic site was created by Pulse with the skilful interlacing of these web processes. 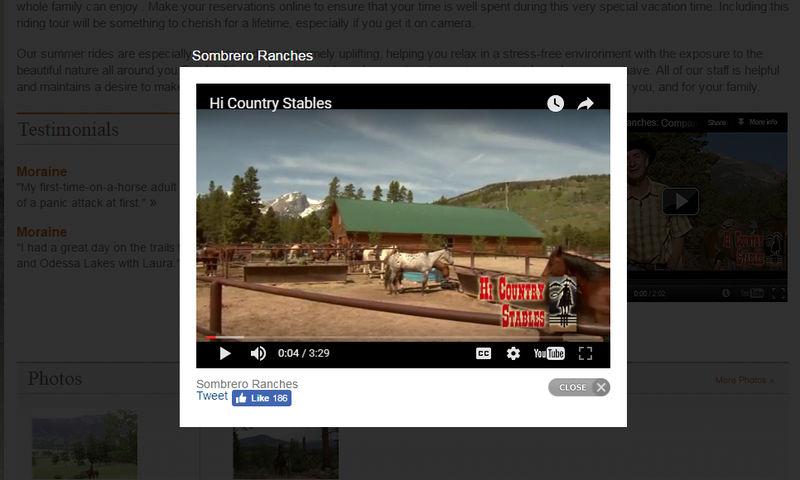 The client, Hi Country Stables, is very pleased with the results and is confident that Pulse can provide further assistance for future upgrades and improvements.